Jeff Greenfield, a veteran political, media and culture reporter and analyst, has spent more than thirty years on network television. He currently hosts PBS' "Need To Know." From 2007-11, he served as CBS Senior Political Correspondent. 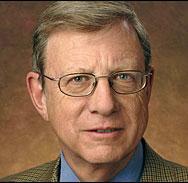 Prior to his return to CBS News, Greenfield had been senior analyst for CNN since 1998. During that time, he served as its lead analyst for its coverage of the primaries, conventions, presidential debates and election nights, as well as presidential funerals and Supreme Court confirmation hearings. Greenfield also has reported on the media,culture and trends for the cable network. Though the five-time Emmy winner’s reporting has taken him to locales around the world from South Africa to Japan to Europe, he is principally known for his coverage of domestic politics and media. He has served as a floor reporter or anchor booth analyst for every national convention since 1988. He has twice been named to TV Guide's All-Star team as best political commentator and was cited by the Washington Journalism Review as "the best in the business" for his media analysis. Before joining CNN, Greenfield was a political and media analyst for ABC News (1983-97), appearing primarily on "Nightline" and delivering weekly commentaries for "World News" Sunday. Previously, he was the media commentator for CBS News (1979-83).Greenfield has also has appeared on William F. Buckley's "Firing Line"and PBS' "We Interrupt This Week." He was the anchor of PBS' "CEOExchange," a limited-run series, for five seasons. Greenfield, a native of New York City, graduated with honors from the University of Wisconsin, where he was editor-in-chief of The Daily Cardinal. He is an honors graduate of the Yale Law School, where he was a Note and Comment Editor of the Yale Law Journal. Following law school, Greenfield worked as a speechwriter in the Senate office and in the 1968 Presidential campaign of Robert F. Kennedy. He then worked as chief speechwriter for New York Mayor John Lindsay. Greenfield spent seven years with famed political consultant David Garth, and wrote books and magazine articles as well. His work has appeared in many publications, including The New York Times Magazine, Harper's and National Lampoon. Greenfield is the author or co-author of 12 books. His first novel, "The People's Choice" (1995), was a national bestseller and was named by The New York Times Book Review as one of the notable books of the year. "Oh,Waiter, One Order of Crow" (2001), is an insider's account of the contested 2000 presidential election. His most recent book “Then Everything Changed; Stunning Alternate Histories of American Politics” was published in March, 2011 (Putnam), and was published in paperback in February, 2012 (Berkley). As the 50th anniversary of the Kennedy assassination nears, Jeff Greenfield, longtime news analyst and correspondent, talks current politics and offers another "alternate history" of the Cold War in his new novel If Kennedy Lived: The First and Second Terms of President John F. Kennedy: An Alternate History (Putnam, 2013). Money Talking: Will the Fiscal Cliff Deal Spur Companies to Spend and Hire? Philanthropic giving tends to peak in December as big and small donors alike squeeze their donations in before the end-of-year tax deadline. A week after the tragedy at Sandy Hook Elementary, the mass shooting continues to have a ripple effect in the conversation around guns, even in the financial community. Ever since the presidential election, the business press has been consumed with the negotiations in Washington to avoid the December 31st fiscal cliff. The nation's biggest banks are facing job losses, falling revenue, big spending cuts, not to mention core questions about their very size and scope. The question gets more urgent by the day: Can President Obama and Congress cut a deal in the next month to prevent the automatic government spending cuts and tax hikes known as the fiscal cliff? Money Talking: Do Americans Care If It's Made in the USA? Grey is the new black when it comes to post-Turkey shopping. In a growing phenomenon known as "Grey Thursday," more of the largest U.S. retailers are opening on Thanksgiving Day, offering consumers deals a day earlier than Black Friday. Money Talking: After Sandy, Who Decides How Federal Aid Is Spent? Sandy left behind not only countless disrupted lives, but a cost in dollars that’s hard to quantify and is still being counted. Money Talking: Will Obama and Congress Avoid the Fiscal Cliff? With President Barack Obama reelected to a second term and Congress set to reconvene after Veterans Day, all eyes in Washington are set on the January 1 fiscal cliff when billions in spending cuts and tax increases will go into effect. Jeff Greenfield, co-host of PBS's "Need to Know" and columnist for Yahoo! News, talks about last night's results. When it comes to the economy, corporations see the glass as half-empty, while consumers see it as half-full. The sudden departure of Citigroup CEO Vikram Pandit has sparked a conversation about where the bank is headed under new leadership and what it says about the so-called "too big to fail" banking behemoths. Money Talking: What Does High-Frequency Trading Mean For Your Average Investor? Money Talking: Is the Stock Market Another Bubble in the Making? Jeff Greenfield, co-host of PBS's "Need to Know", Yahoo! News columnist, and Heidi Moore, New York bureau chief and Wall Street correspondent for Marketplace, discuss the conventions and this morning's jobs numbers.